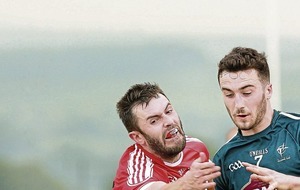 Louth might ponder whether or not it's in their long-term Championship interests to get promotion from Division Three. 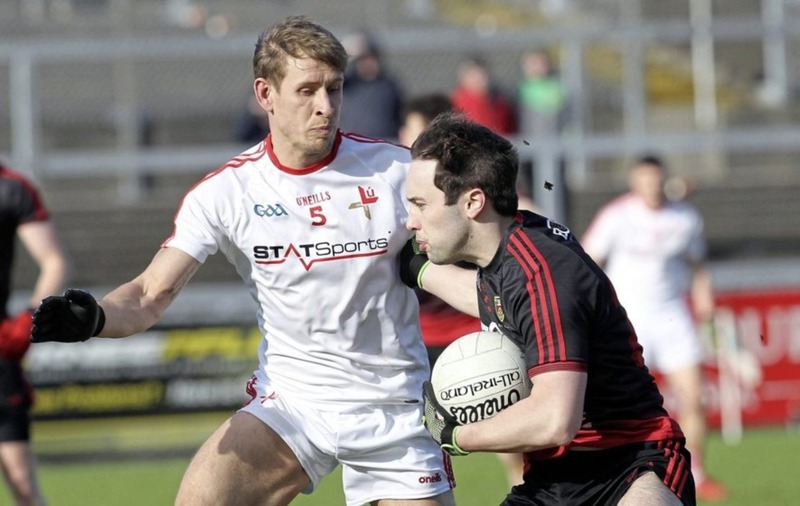 Kildare insisted on home advantage against Mayo in last year's All-Ireland qualifiers - but wouldn't have had it against the likes of Derry or Longford. IT may not seem like it now, but let me tell you the teams who have boosted their Championship chances by virtue of their recent League performances: Cork, Tipperary, and Down. Those who have hampered their futures for definite are Laois and Clare; the latter may be feeling smug about surviving in Division Two, but the Banner might have been better off being lowered a level. Louth and Westmeath will have to think carefully about the outcome of their outstanding fixture in Division Three this weekend, specifically as to whether or not they really wish to join Laois in going up a tier. Down’s disappointment at missing out on promotion is genuine. The Mournemen certainly didn’t ‘throw’ away their opportunity to go up, even if their performance last Sunday against Louth might have suggested otherwise. 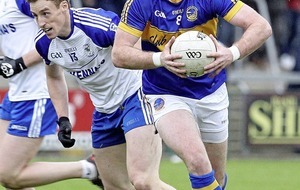 However, with the benefit of 2020 vision – which is different from hindsight – Down may get a boost from being in Division Three again next year, as will Cork and Tipp. ‘Next year’ being the key phrase. They and the rest of the sides in 2019’s Division Three (and Four) already have a bizarre advantage over the teams from this year’s Division One and Two. If the All-Ireland SFC Qualifier draws pit teams from the top two divisions against opponents from the lowest two tiers, the former have to give up home advantage. What sort of reward is that for doing well in the League? Answer: none, a nonsense. There’s no suggestion that teams aren’t trying to gain promotion, but there’s not that big a difference in playing standards between counties in Divisions Two and Three. Indeed, beyond the top half-a-dozen counties from Division One, perhaps the next 18 or 20 are much of a muchness, especially on their home turf. And that’s the advantage I’m referring to: home advantage. Remember all the fuss about Kildare being allowed to host Mayo in last year’s Qualifiers third round? Yet, strangely, there hadn’t been any outcry at all when, that’s right, Kildare had to give up home advantage against Longford in the previous round, with the game instead taking place in Pearse Park. All because Longford were in Division Three, and the Lilywhites had been in the top flight. 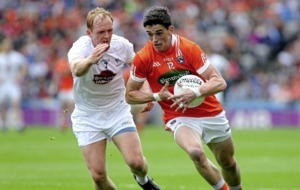 It didn’t matter that Kildare had been relegated without winning a single League point, while Longford had come close to going up to Division Two. Home advantage as a principle to be protected, where are ya? Another aspect of improvement as a county relates to what’s around the pitches, as well as the players on them. All the ‘genuine Gael’ hoopla surrounding #Newbridgeornowhere, and Kildare’s ‘right’ to host a home Championship match, ignored the fact that St Conleth’s Park simply wasn’t good enough to be the venue for that round three game. The people who really suffered from sticking by the sacred ‘principle’ of home advantage were thousands of loyal, passionate Mayo supporters, who were unable to gain access to that small ground – and also the Mayo team. Home advantage is a quantifiable effect, especially in matches between teams of similar standards. Do you really think Kildare would have edged that famous victory if the game had taken place in a neutral venue, Portlaoise, for example? 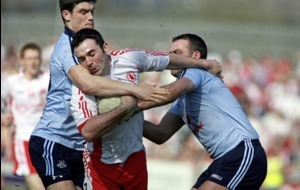 Of course the current Dublin side would beat most opposition wherever they play them in Championship football – but they’ve also been helped into that position of vastly superior playing strength by not having to improve their own supposed home ground (Parnell Park). Instead, the Dubs have invested heavily in coaching, with the inevitable results that their playing standards have risen. Louth is another county that has accrued an advantage from its main county ground being rather run-down. Instead of having to play three matches inside nine days, including hosting Westmeath in the middle of last week, ‘the Wee county’ have had a week between each of the games. Same as everyone else, yes, including Westmeath – but everyone else was probably capable of hosting midweek matches if need be. 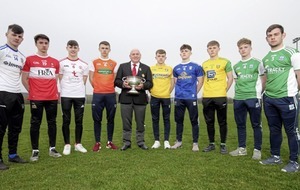 Sure, it might have been harsh on Louth (and Westmeath) to force them into such a hectic schedule as a consequence of poor weather, but surely every county should have one decent facility with floodlights capable of holding an inter-county League game. There’s always a balancing act between improving your stadium and improving your team. Only the very richest can walk that tightrope without falling short one way or the other. This is seen in most sports. Consider soccer, and the two major clubs in north London. Arsenal went unbeaten through the 2003-4 league campaign – but that has been the last league title won by the Gunners. That same season, work started on their expensive move to the Emirates Stadium and instead of investing in ‘the Invincibles’, Arsenal spent almost £400m on building their new ground at Ashburton Grove. Their neighbours Spurs have been a better side in recent years, but arguably their title challenges over the past three seasons were hampered by spending on their fabulous new billion-pound stadium rather than on boosting their squad. Of course, soccer clubs like Arsenal and Spurs hope – and can believe with some justification – that building bigger and better grounds will pay off for them in the future. Both might have won more titles over the past decade or so were it not for the money pumped into the likes of Chelsea and Manchester City (another set of light blues who have been handed a lovely big stadium to use as their home – but that’s another column for another day, probably in May. Winky smiley). re-consider this ‘home advantage for Divisions Three and Four’ rule. There’s an argument for that reward actually going to teams from Divisions One and Two in the Qualifiers – but at the very least a home draw should mean that, as long as the home is of a decent size and standard.